The Twill Weave Daybed, developed with the Danish textile manufacturer Kvadrat and the New England manufacturer of sailing masts Hall Composites, is made predominantly from woven textile. 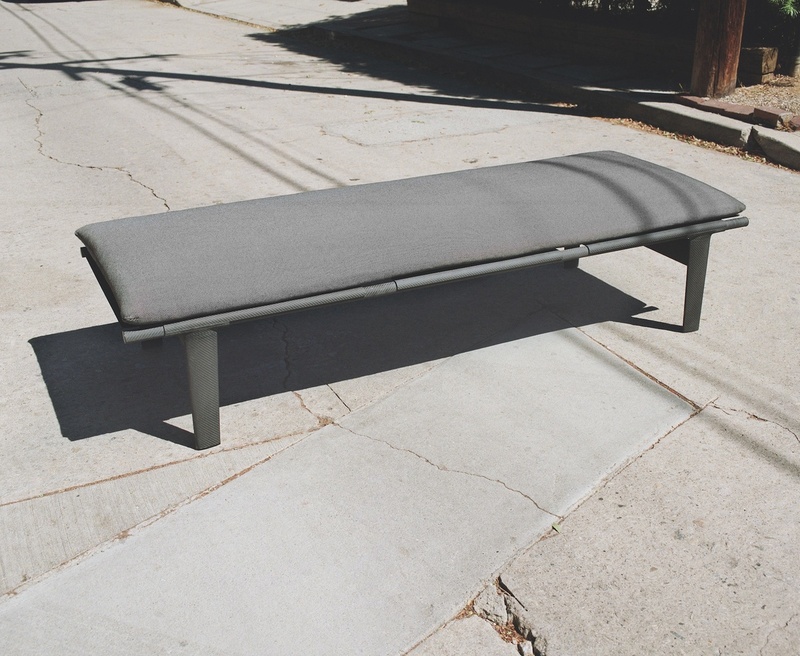 The daybed’s legs and 2mm-thick flexible resting surface are manufactured with a twill weave carbon fiber that is 63% cloth by weight, with the remaining weight being comprised of epoxy. The legs and cross-beams of the daybed are formed with mandrels used by Hall Composites in the mast making process, and a matte finish was developed that emphasizes the woven pattern of the textile over the epoxy that binds it. With Kvadrat, Olivares developed a sister textile to the carbon fiber that is made of wool and is used to upholster the daybed’s cushion. As a result the entire visible and tactile experience of the daybed is defined by a continuous, dark gray, twill textile, which lends warmth and texture to the space around it. This object tests our ability to engineer woven materials to diverse effects, and it provides a new aesthetic model for furniture where materials can be structurally diverse yet visually homogenous.